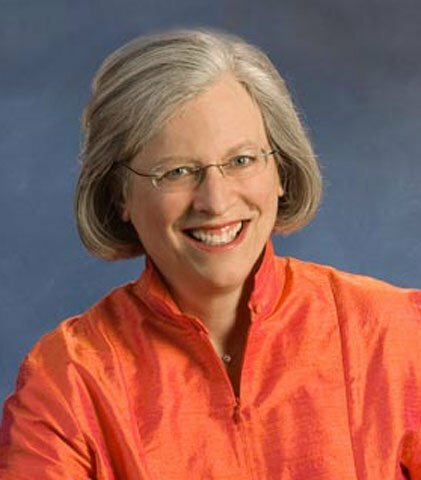 Musica Sacra and music director Mary Beekman have long enjoyed a deserved reputation for technically assured and moving performances of a range of sacred music. In the current season alone they have performed Renaissance music from Spain and Portugal, new and unfamiliar works for the Christmas season, and works for chorus and string quartet ranging from Baroque to contemporary Boston composers. Last Saturday in First Church Cambridge they ensemble ended its season with a surprising—but delightful—about-face, a program with no hint of the sacred. Of course, laughter is very much a part of life, and, if not exactly the basis of religion, it generates a joy that should be a frequent and ongoing. Beekman assembled a tasty meal of pieces from the 16th century to the present, some humorous because they were settings of comical texts (though, of course, the music had to reflect the spirit of the words if it was to work), others because of the nature of the musical ideas themselves. Many worked in both ways. The program opened with two “madrigals” by PDQ Bach, in which the words (“My bonnie lass she smelleth”) parodied famous, and serious, Elizabethan love laments. But Renaissance composers sometimes showed a sense of humor without the pastiches of PDQ’s puppetmaster, Peter Schickele. It rather frequently occurred that an Italian composer would set a poem for double ensemble in which the first chorus sang a poetic line of which the last syllable or two was echoed by the other side—but the echo changed the meaning to something quite different. Orlando di Lasso produced a delightfully droll echo song in which side A first delights in its echo (side B), but soon tires of it and demands that it shut up—which, naturally, it does not do. Adriano Banchieri composed a “Counterpoint of the Animals,” which pits nonsense text in Latin with “singing” by dog, cat, owl, and bird, using the Italian syllables assigned to speeches by such creatures in Italian stories. The remainder of the program was in English (except for a very odd piece by the rather odd Charles-Valentin Alkan). It included delicious sets of music by Irving Fine—one set of his Alice in Wonderland songs for women’s voices with piano, another, for men’s voices, entitled McCord’s Menagerie, to funny poems about animals by David McCord. I have loved these (and other) Fine songs for many years, and I’m glad to hear some of them getting performed. Another high point—a set of comic songs I did not know at all—was Daniel Pinkham’s The Saints Preserve Us. Pinkham was for many years active in the music program at King’s Chapel. His experience with liturgical music, combined with his sense of humor, inspired this series of choral songs celebrating some hitherto unknown saints, among them Saint Aquacia, the patroness of washing machines; Saint Celsius, patron of thermostats; and so on. The texts are his own, and are as charming as the musical settings, which hint occasionally at Anglican chant and hymn. The one non-choral work on the program, nestled into the space after Banchieri’s animal counterpoint, is the “Duet for Two Cats,” ostensibly by Rossini, though, as Beekman’s helpful notes point out, it was probably assembled from Rossini tidbits by the early Victorian composer Robert Pearsall. In any case, it was given a lively performance by Katie Von Kohorn and Emily Sax Nydam, the one taking a prima donna’s position (and stance!) center stage, the other attempting to wheedle her way into that spot. Here, as elsewhere in the program, Terry Halco was the effective accompanist. This is only a partial indication of the delights of the program. Other composers represented included Ivor Davies (with a feline prayer requesting, among other things, a curse on dogs), Goffredo Petrassi’s setting of an Edward Lear limerick, some lively settings of Ogden Nash animal verse by Eric Whitacre, who currently is a popular composer on the choral circuit. I have to say that I found his Nash settings among the most satisfying Whitacre pieces I have heard, because many of his works are slow-growing exercises in lush harmonies and thick textures, which give me the feeling of floating in a vat of melted marshmallows. Animal Crackers volume I, however, was good fun. The aforementioned Alkan—Funeral March on the Death of a Parrot—converyed a serious air (accompanied by the unusual ensemble of bassoon and three oboes of various sizes). The bassoon was the lugubrious leader, hinting at a French funeral, with choral passages that sounded rather like echoes of the Berlioz Requiem, although the entire text consists of two lines in French, translated as “Polly want a cracker?” answered by a vulgar response usually abbreviated today in text messages as “WTF!” Poems by Dorothy Parker and others, taking a tragicomic view of Love Lost, were offered in settings by Paul Sjolund, along with a lively and rhythmic (in 5/4) work by the Finn Jaakko Mäntyärvi, the untranslated text of which was a traditional way the Finns had of making fun of Norwegians and Swedes. The concert closed with another—very unexpected—high point: a superbly witty choral arrangement by Terry Halco of the 1913 popular song (which has enjoyed periodic returns to the hit parade) “The Teddy Bears’ Picnic,” words and music by John W. Bratton and James M. Kennedy. I understand that Halco’s a cappella arrangement is unpublished—a great shame, because it is filled with delights, including a quotation from Dukas’s Sorcerer’s Apprentice and textures evoking dances and Hollywood that would recommend it to choruses everywhere. The Psalmist wrote, “Make a joyful noise unto the Lord.” Musica Sacra did just that, and the sanctuary echoed with laughter and applause.